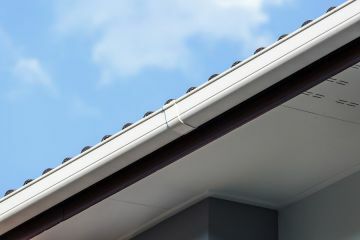 Is it time to install gutters on your Katy Texas home? The window replacement experts at LYF Construction are also skilled in installing gutter systems. LYF Construction has been in the business of installing gutters in Katy for 16 years. LYF Construction's gutter systems offer a unique design that won't detract from your home's beauty, yet will function optimally for maximum water flow. Why Choose LYF Construction for Gutter Installation in Katy? When you call LYF Construction for a gutter installation on your Katy home, you'll receive qualified gutter installation technicians who are skilled and professional. From the first phone conversation to the final walk through, we'll ensure your satisfaction every step of the way. Your crew leader will be accessible throughout process and address any questions and the job isn't complete until you are fully satisfied. All of our products are guaranteed as well.